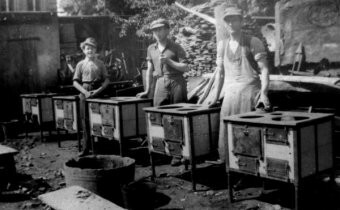 The story of the company Wittenberg began in a village smithy. Today the company is a modern and efficient metal working concern. 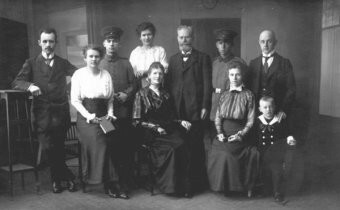 In December 1881 Carl Wittenberg, the great grandfather of the present owner, started a village smithy and in later years introduced a trade and marketing department. In 1897, the company moved to a newly built and larger premises near the market place in the Breite Strasse at the Königsstraße corner. 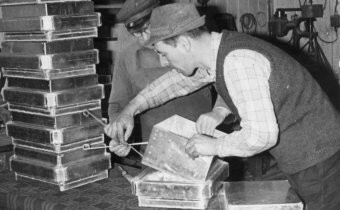 From here, the company could sell their own products and all the other general ironmongers stocks, from household and kitchen utensils to building and industrial supplies. 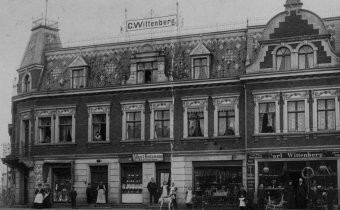 The grandfather, Hermann Wittenberg and his brothers, both commercial salesmen, took over the company in 1921 and expanded the workshops further. The company was renamed Carl Wittenberg and the Wittenberg brothers were co-owners. 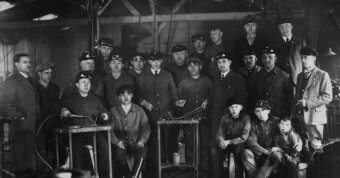 Herman Wittenberg had learned the metalworking craftsman’s trade in Anklam and in Torgelow and extended his technical Knowledge by time studying at business schools in Mittweida and Berlin. In 1919 he received the title of Master Craftsman in metalwork. In 1922 the workshops which have remained to the present day in the Goethestraße were built. To begin with, the company supplied amongst other things, stoves, ranges, ovens and sturdy washing mangles and so the supply of trade products began. 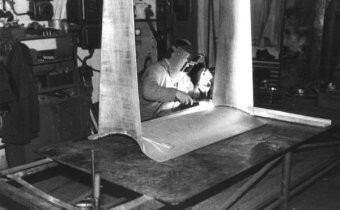 As a result of high inflation, the workshop was separated from the company in 1931 and continued under the new name of Hermann Wittenberg. Further new products expanded the range by producing transport and loading machinery for the National railways. To cover the banks interest and the running costs the company must reduce it’s workforce down to a few apprentices and general staff. Only when the orders from the Federal explosives and installations work begun could the company once again employ about 20 people. 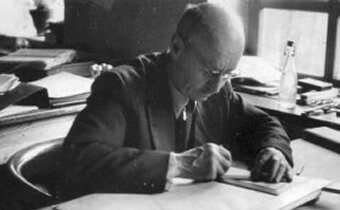 Because of differences of opinion regarding youth education and repression of free speech, Hermann Wittenberg as head of training received repeated warnings and eventually in 1939 it came to prosecutions against him. Workers were no longer freely available and soon the company production must continue with only one disabled tradesman and a few apprentices. 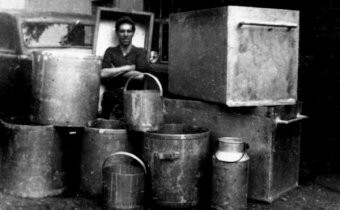 From 1st of April 1940 to the 30th of March 1943 the father of the current owner learned the trade as metal worker at the company. At the same time, he expanded his knowledge with a company in Szczecin in the specialised field of working with aluminium that proved later to be of great importance. However, he must also go to war, he was taken prisoner and spent two years as an American prisoner of war before returning to the firm. On 25th of February 1957 Herman Wittenberg, nicknamed Hermi, was able at last to complete his master’s examination and from the 01st of July 1958 was the managing director of Metallbau Wittenberg. During the period of the East German Democratic Republic it was not easy to run a private company. As a result, in 1972 the company must reduce its number of employees despite having full order books. The Government ruled that a private company may only employ a maximum of 10 people otherwise it would become “Nationalised” by the state. Despite all these impediments, Hermann Wittenberg continued the company and in addition to the steel fabrication and fitting took on forging work and aluminium storage containers. These containers were destined for dairies, juice pressing and meat processing plants in the regions of Schwerin, Rostock and Neubrandenburg. Since her marriage in 1955, Anneliese Wittenberg also worked for the company. The two sons, Hermann and Jörg did not enter their fathers company. The younger son completed his studies on 01st of June 1988 and went into business on his own account also starting a metalworking company. 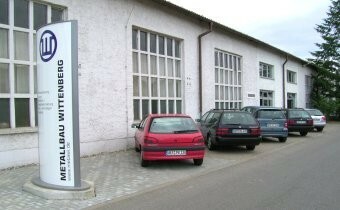 Jörg Wittenberg bought a piece of land in 1990 from the former foundry at Torgelow in the Borkenstrasse 15e including the production shops, some machinery and plant equipment. On the 01st of May 1991 he took over the family business due to the sudden illness of his father and continued the general modernisation. The elder son, Hermann also established a heating and sanitation company in 1991 and so the company tradition of heating and plumbing remained. 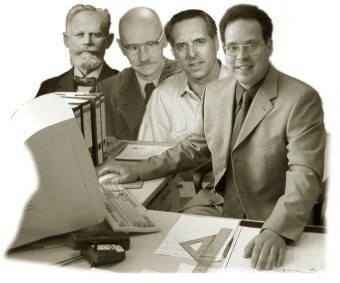 The company Wittenberg in Poland was established in 1997. The company has a production area of 1800 m² and employs 10 people. This young and modern metalworking company is able to produce quality at very reasonable prices. The companies’ management are fluent in the German language and a German member of staff is always present as contact person. You can find further information under: www.metawi.pl. Please, send any inquiries for Poland to the Torgelow office. In search of new market sectors, the company received new contracts in 2003 in the field of Trade Fair construction. Since then the company builds and installs Trade Fair stands in co-operation with various companies such as Samsung, Siemens, Subaru and DaimlerChrysler, exclusive and innovative exhibition stands from steel, stainless steel and aluminium. 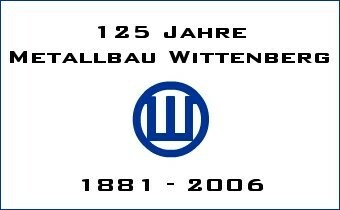 With great pride, the company reached its 125th year as a family enterprise. In the last decades, the company has developed from a small smithy to an enterprise which specialises in the processing of aluminium, steel and stainless steel. In 2007 the machine park of the enterprise was augmented by a CNC-controlled plasma cutting machine. The companies’ productivity has been increased and new market sector customers could be won. Wittenberg Metal Sp. z.o.o. in Debno / Poland celebrates its 10th anniversary. To extend the production area, in 2013 the construction of a new factory hall started. 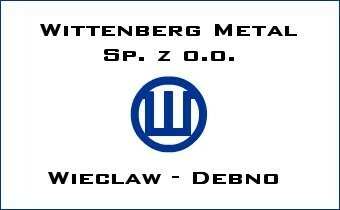 On the 2 nd of January 2014 Metallbau Wittenberg developed into the limited company Metallbau Wittenberg GmbH & CoKG under the Managing Director Mr. Jörg Wittenberg. In April 2014 our new profile bending machine went into operation, which permits to bend medium and big profiles as well as 3D components. 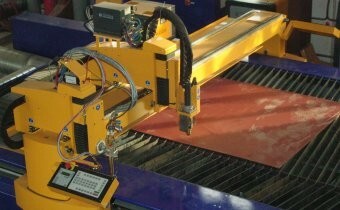 Commissioning of a water jet cutting system with a working surface of 1500 x 3000 mm. This system is particularly recommended to form metallic and non-metallic materials.